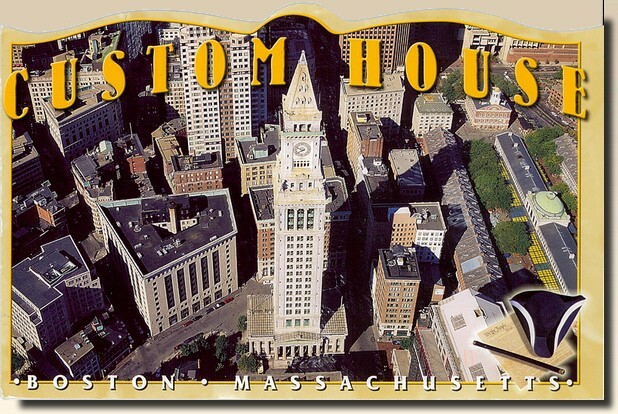 The Custom House Tower is a skyscraper in McKinley Square, in the Financial District neighborhood of Boston, Massachusetts, in the United States. Construction began in the mid 19th century; the tower was added in the 1910s. Standing at 496 feet (151 m) tall, the tower is currently Boston's 17th-tallest building. [wikipedia].